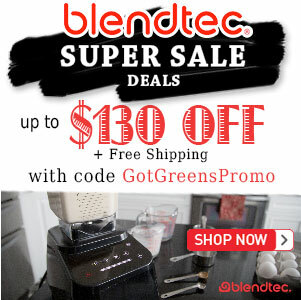 Vitamix Mother's Day Sale 2019 - Got Greens? 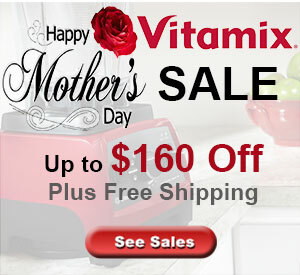 For 2019 Mother’s Day Vitamix is offering discounts on all of their new blenders now through Mother’s Day in the US and Canada. You can save $50 to $100 and with our exclusive discount, an additional $20 savings on many models. Additionally many Reconditioned models are also on sale. With so many Vitamix models to choose from we recommend our Complete » Vitamix Model Buying Guide to assist. The most popular and newest models included in the sale are the Smart System Ascent Series. This series of blenders features the newest design and technology available in a Vitamix, including self-detect containers. Using our links provides an additional $20 off the advertised sale price. Final price shown in the cart. 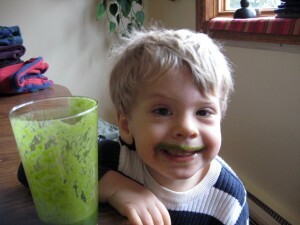 For additional information and a detailed review see our Vitamix Ascent Series Review. The Vitamix Classic blender models include the C-Series, G-Series, and Explorian Series models. These are the blenders with the power and performance to deliver but without the newest technology and fancy features found on the Ascent models, and therefore cost less. Vitamix Space Saving blenders includes the smaller S-Series models. These blenders are powerful smaller versions of the full-size that take up much less space and come with a handy on the go container system. For the best deal and the most for your dollar, Reconditioned Vitamix are a great choice when you are on more of a budget. These are the refurbished units that come with great guarantees at a great price. We greatly appreciate your support to help us maintain our community education. It couldn’t happen without you, every little bit helps!